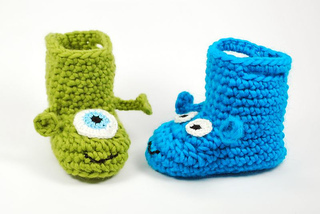 This pair of cheerful Alien & Monster Baby Boots was inspired by Monsters SA, they are adorable, especially the green one. I added them the antennae to make them even nicer. 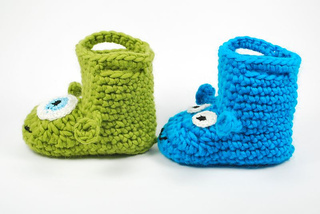 The handles and the shape make them very comfortable to wear and fit. 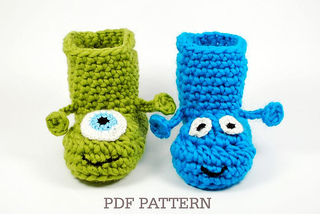 You will have a lot of fun crocheting them!